1. 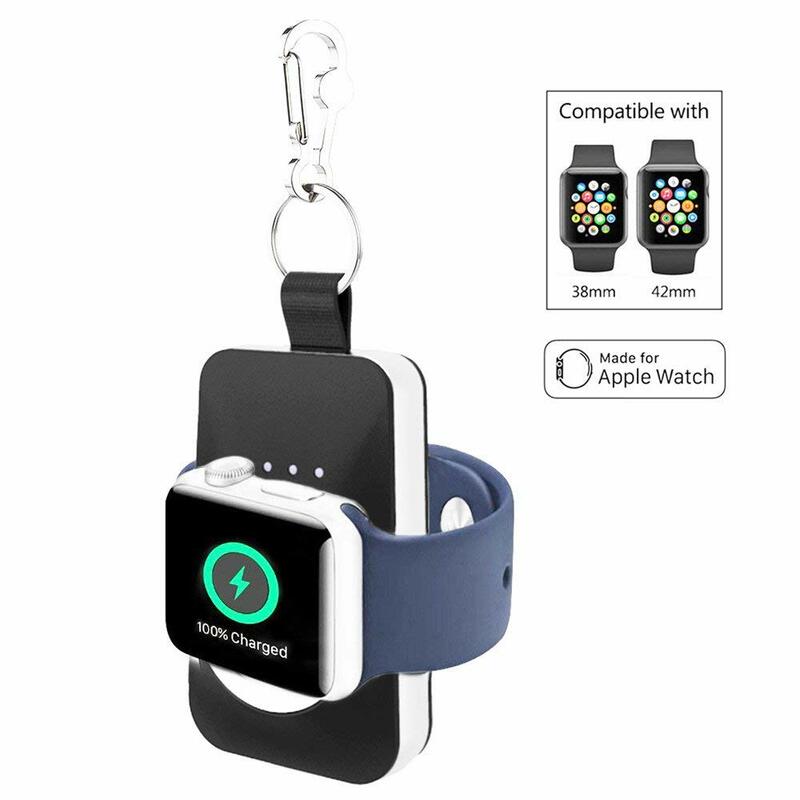 This is the perfect solution for Apple Watch users who are traveling. 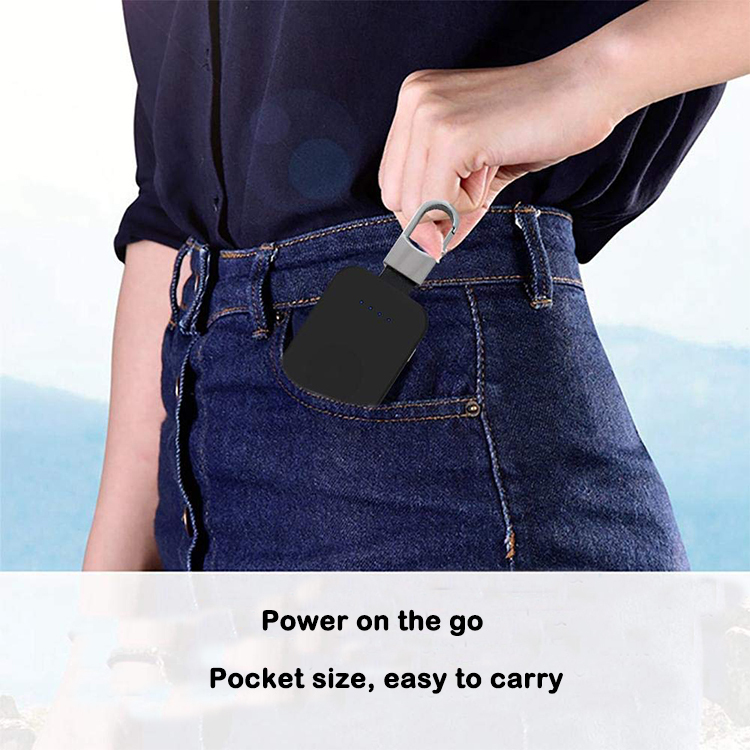 Rather than taking your long magnetic charger or oversized dock with you, simply bring your lightweight and portable key chain wireless charger treasure. 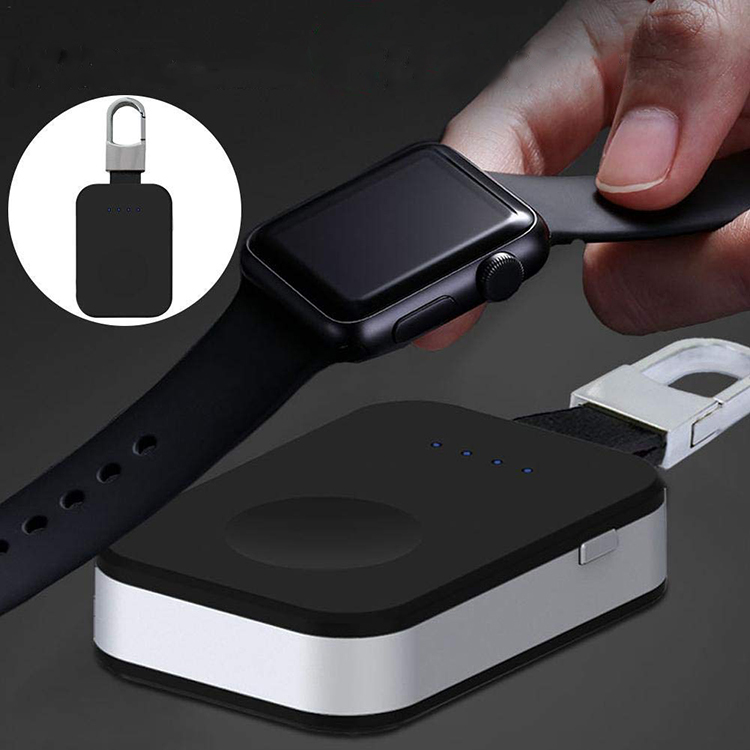 Hook it to your backpack or carry it in your bag or pocket.Power on the go never worry about that your apple watch run out of power. 2. The built-in950 mah lithium-ion battery will charge your watch for about three times. 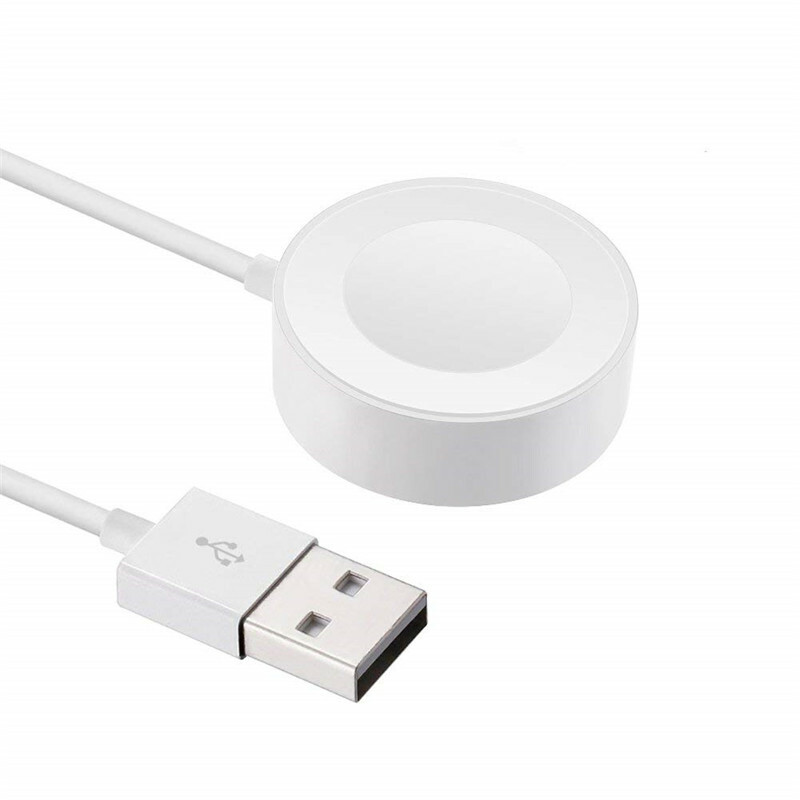 Come with a Micro USB Cable to charge the Power Bank. 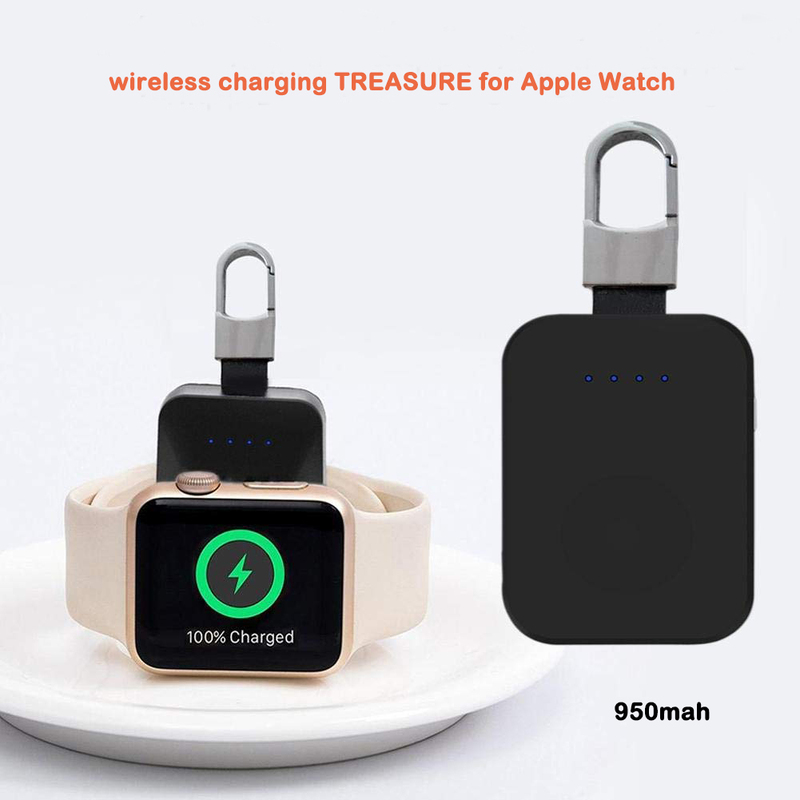 Built-in Li-ion specific charging management IC, multiple safeguards protection against over-current, overheat, short circuit and high temperature, better protects your watch while charging. 3. press and hold the power button for 3 seconds to turn on the device and set your watch on the magnetic circle. 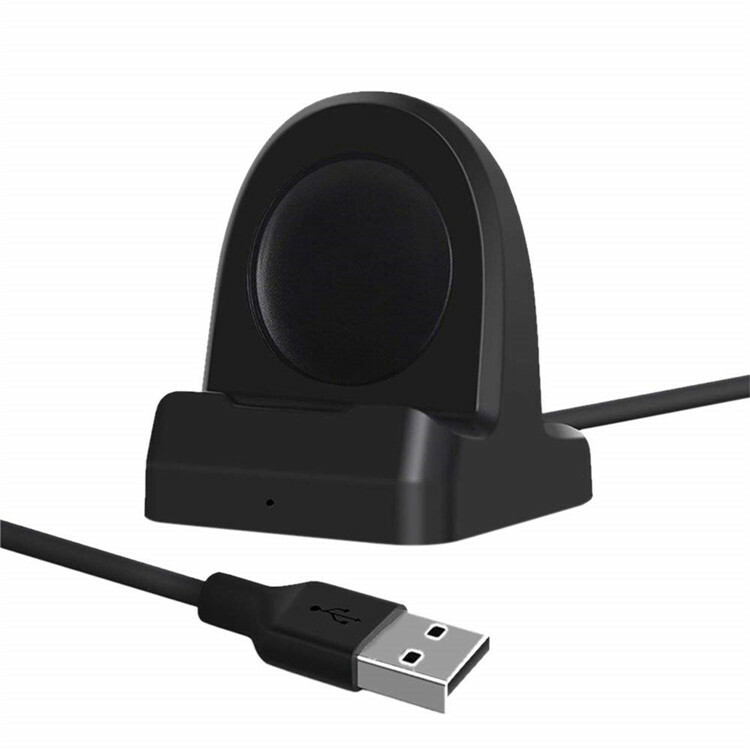 4 LED lights tell you the status of the charge; when all are lit, the watch is fully charged. 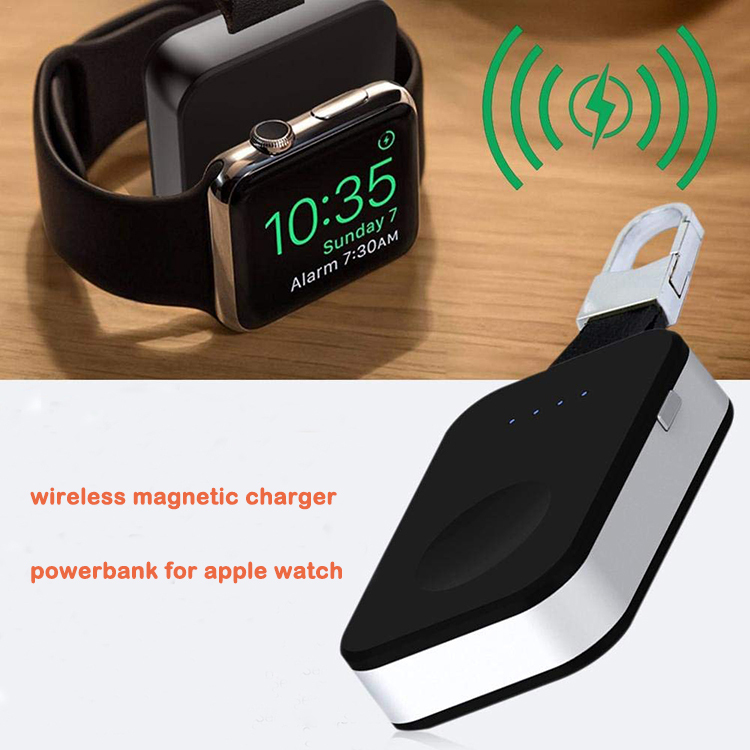 It is possible to charge the charger at the same time it is charging your watch.